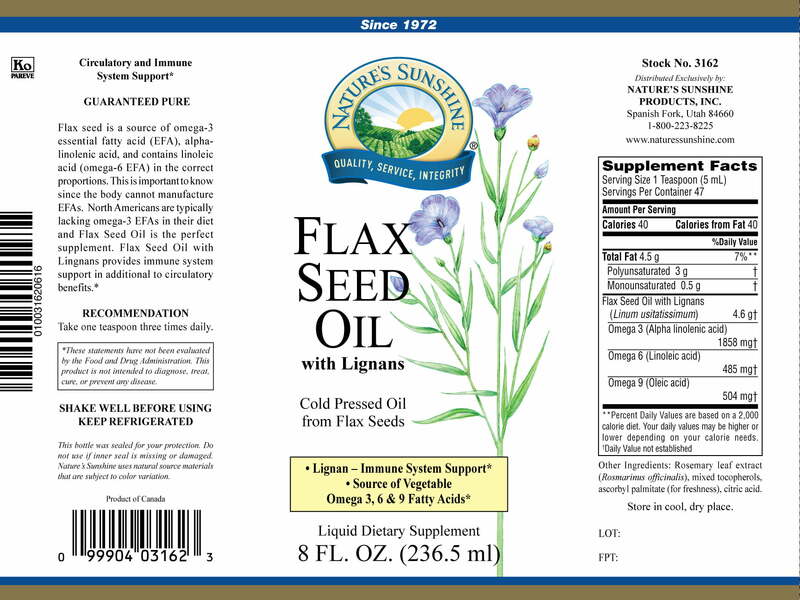 Nature’s Sunshine Flax Seed Oil with Lignans provide omega-3 essential fatty acids to support the cardiac system. 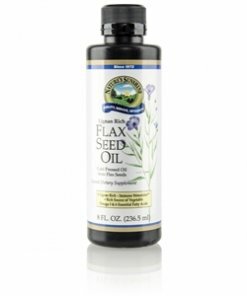 Essential fatty acids are found in abundance in flax seed oil. The formula also contains lignans to support the immune system and linoleic acid, another essential fatty acid. Neither linoleic acid or omega-3 essential fatty acids can be produced by the body, so supplementation is necessary. The body uses essential fatty acids as precursors to prostaglandins. 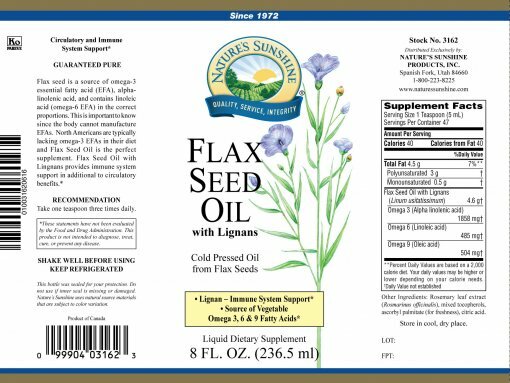 Flax seed oil contains double the amount of omega-3 fatty acids as fish oil which was once thought to be the best source. 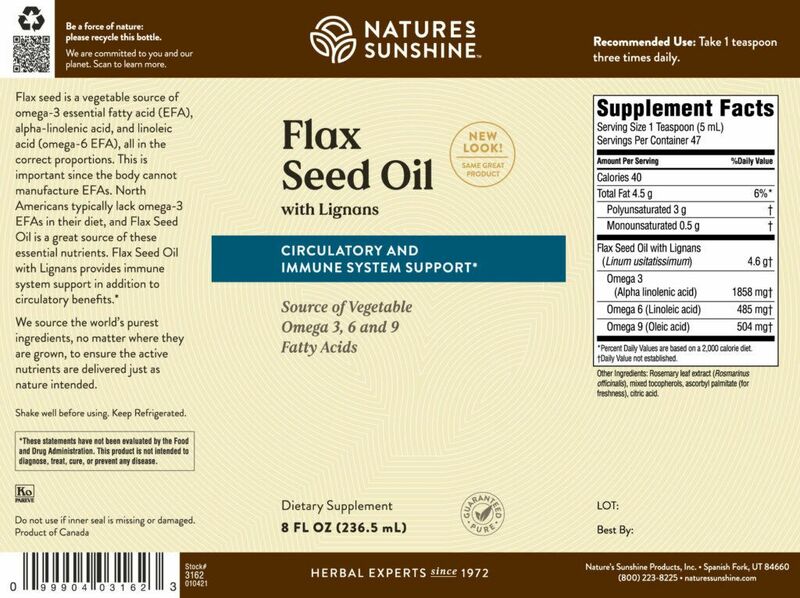 Nature’s Sunshine Flax Seed Oil includes omega-3, omega-6, and omega-9 essential fatty acids. Instructions: Take one tablespoon one to two times daily. Rosemary leaves (Rosmarinus officinalis), mixed tocopherols, ascorbyl palmitate, and citric acid (as antioxidants).